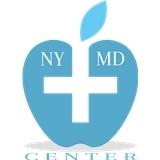 Advanced Physicians PC (New York) - Book Appointment Online! Easiest, most painless, quickest pap smear I've ever had. Dr. McBride also had extensive knowledge (off the top of her head!) about various medications, which is a rare and wonderful trait. I'll definitely be going back. Dr. Guichard was great - she was quick and efficient, all while staying pleasant and professional. She answered my questions and provided meaningful insight! Thanks a million!